Both animal and human studies show that this herb can fight stress. You may even be happy to know that ashwagandha lowers cortisol without any side effects, according to this study. In this 2012 report, a woman used ashwagandha for six months to treat adrenal hyperplasia. Additionally, doctors noticed that her cortisol levels dropped and hair loss reduced. Schizandra is one of the most powerful anti-anxiety herbs. Plus, it has strong anti-fatigue properties that can increase your performance even when under stress, research shows. Whether you’re trying to improve your physical or mental performance, this herb may help. Take one to three grams a day. This herb is a popular remedy in Ayurvedic medicine. It’s used to treat skin diseases, cold and flu, hepatic disorders and infections. Studies on this herb show it has potent anti-stress properties. In a study where one group took holy basil and the other a placebo, the results showed holy basil improved cognitive function. Research also shows that this herb may prevent canker sores from recurring. While no one knows what causes canker sores, outbreaks seem to be related to emotional and physical stress. For many years, rhodiola rosea has been used to promote longevity and physical endurance. It also helps manage stress and depression. Now you may wonder what makes it an effective stress reliever. Well, it contains rosavins and salidrosides, compounds that have been shown to normalize cortisol. This herb is also known as sweet root. In fact, it’s used as a sweetener in beverages and candies. Licorice root is more popular for soothing your stomach than easing stress. It can speed up the repair of your stomach lining in cases of stomach ulcers, food poisoning and heartburn. 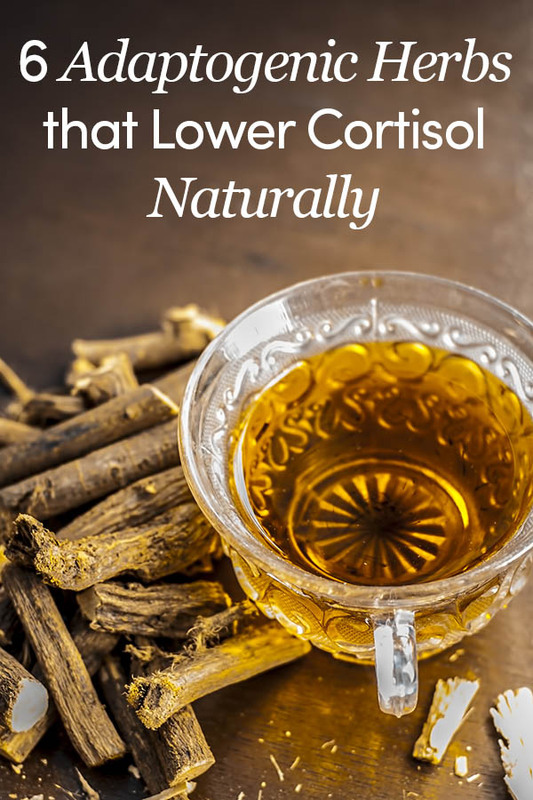 Nevertheless, people with high cortisol can benefit from taking licorice extract. It helps balance cortisol levels by stimulating the adrenal gland. Astragalus root is one of the most popular herbs in Chinese medicine. It is used to strengthen bodily resistance to disease. You may be surprised to find out that this herb raises cortisol, but research explains that this effect helps level out cortisol as soon as the stressor is removed. You can also use astragalus root to fight inflammation.